West Virginia University's School of Medicine Rural Track graduated eight students from the Class of 2017 at the May investiture ceremony. All eight students have matched in primary care residencies throughout the country. Four students matched in residencies at WVU. All eight graduates have plans to practice in a rural or underserved area. The Class of 2017 set the bar high for future students through their involvement in various organizations and with academic standards. 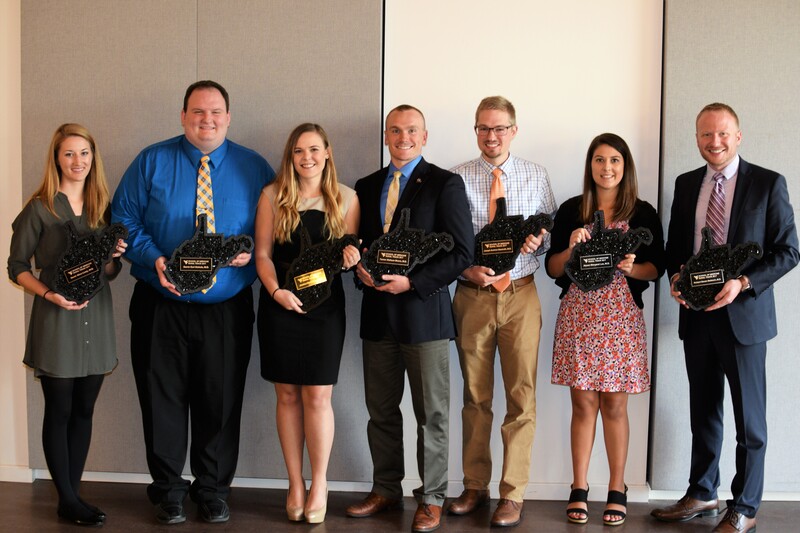 Among the eight graduates is a Pisacano Scholar, a prestigious award given annually to only five medical students across the country; three WVU Rural Scholars; a National Health Service Corp Scholar; and, two United States Army Second Lieutenants. Other graduates, such as Darrin Nichols, saw the Rural Track Program as an opportunity to gain more hands-on experience to help him on his way to becoming a rural physician. “I had the opportunity to form lasting friendships with fellow Rural Track classmates," Nichols said. He stressed that the network of physicians he has encountered over the four years in the program has given him insight into patients in a rural setting. The Class of 2017 is graduating with a combined $225,000 in scholarship money awarded by the WVU Institute for Community and Rural Health. Two recipients of the scholarship have signed a four-year commitment to practice in West Virginia upon completion of residency. One recipient has signed a one-year commitment. To learn more about the Rural Track program, visit: http://medicine.hsc.wvu.edu/rural/. Photo: (left to right) Joseph Hansroth, M.D. ; Darrin Nichols, M.D. ; Sarah Lively, M.D. ; Jessica Eiser, M.D. ; Tanner Moor, M.D. ; Alyson Leo, M.D. ; Steven Stefancic, M.D. ; (not pictured) Westley Mullins, M.D.